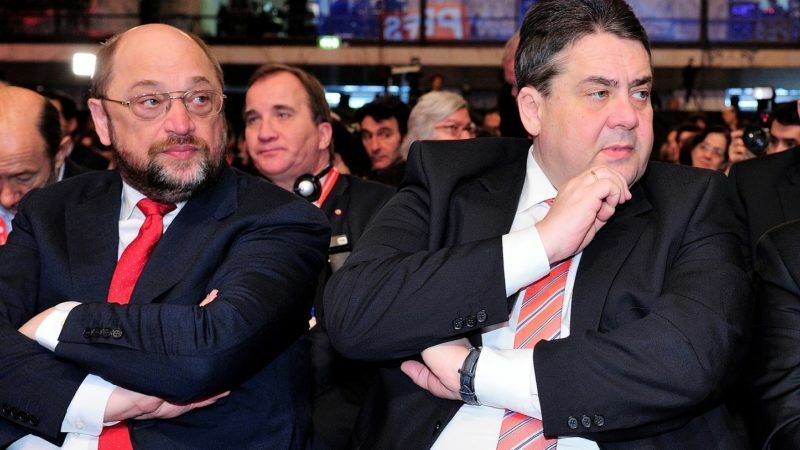 Social Democrat Martin Schulz’s popularity dropped nine percentage points since last month to 30 percent below his predecessor in the leadership of SPD Sigmar Gabriel, according to a new poll. The poll, which was conducted on behalf of the first channel of German public television ARD, showed that former European Parliament President Martin Schulz’s popularity has reached its nadir while Gabriel is currently the most popular German politician with 62%. German Chancellor Angela Merkel met on 3 January with the leaders of centre-right Christian Social Union and SPD to prepare preliminary coalition talks starting on Sunday. 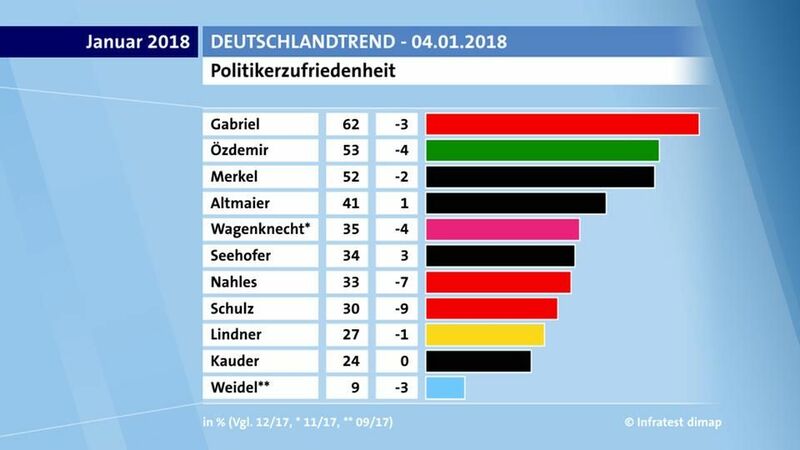 Gabriel is followed by co-chair of the Green Party Cem Özdemir (53%) and CDU’s Angela Merkel (52%). The same percentage of Germans (52%) also believes that it would be good for Merkel to remain as Chancellor. Regarding the voting intention, the Christian Union (CDU / CSU) reaches 33% (+1%), while the SPD remains at 21%. AfD accounted for 13% and the left loses stands at 9% (-1%), while Greens remain stable at 11%. In the event of a failure of the coalition talks, 54% say they would prefer new elections, while 42% are in favor of forming a minority government. As far as Merkel is concerned, 49% believe she should complete her 4-year mandate, while 45% would prefer to leave before and make room for her successor. In addition, 64% of the respondents say that Merkel is a “good Chancellor”, while 75% considers it is the time to change people in the leadership of the Christian Democratic Party (CDU). 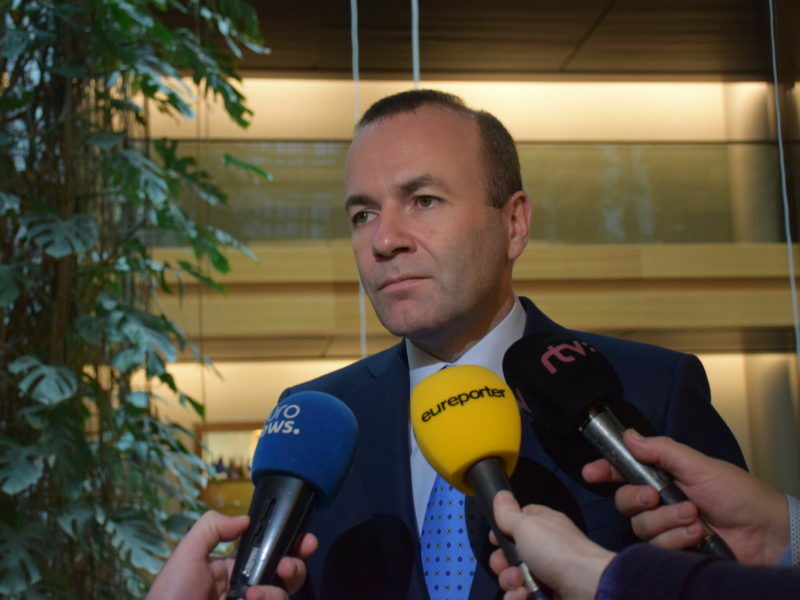 The future of the EU will be one of the key issues for the coalition talks in Berlin, admitted Manfred Weber, the leader the centre-right European Peoples’ Party group and member of the Christian Social Union (CSU) – the Bavarian sister party to the Christian-Democrats (CDU). This would include “a new constitutional treaty” that would be submitted to all EU member states for ratification. “Any state that won’t ratify this treaty will automatically leave the EU,” he added. Could this be the German electorate’s verdict on this views? Communist criminal, should be publicly hanged!